Students Calyx Turco and Kate Monnett from the Belmont University Swim Club swam in the Collegiate Club Nationals earlier this month. Held in Atlanta, Georgia, swimmers from around the nation who have received qualifying times get the chance to compete head-to-head against the top tier swim clubs. Turco and Monnett both received their qualifying times in the Music City Invitational, held in Nashville back in February. Turco, a freshman this year, competed in the 50-yard freestyle, 100-yard freestyle, and 100-yard IM. Monnett, a sophomore, competed in the 50-yard and 100-yard breaststroke. 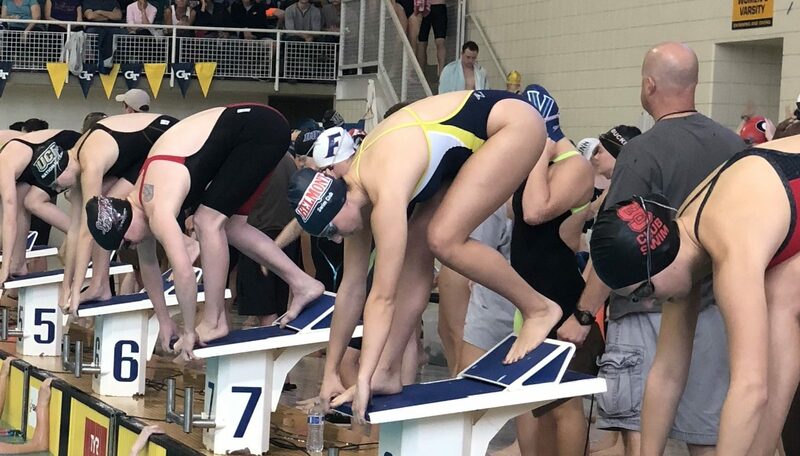 While neither girl placed top 20 to compete in finals, both came out with solid times and laid a strong foundation for next season, making a name for the Belmont University Swim Club. The Belmont University Swim Club practices Mondays, Thursdays and Saturdays at Centennial Sportsplex. For more information on how to get involved, email swimbelmont@gmail.com.